Milton Glaser is among my top ten five designers. His work has a tremendous influence on my psyche. Milton Glaser has the ability to draw. Yes, that’s something, you rarely see nowadays, among graphic designers – being able to draw by hand, with the hand on the pencil and with the pencil on blank, fine white paper. Not only that, but he takes tremendous pleasure in drawing by hand, thus his organic, illustrative style permeates through his typographic work but even through his corporate design samples. His work is genuine and warm. 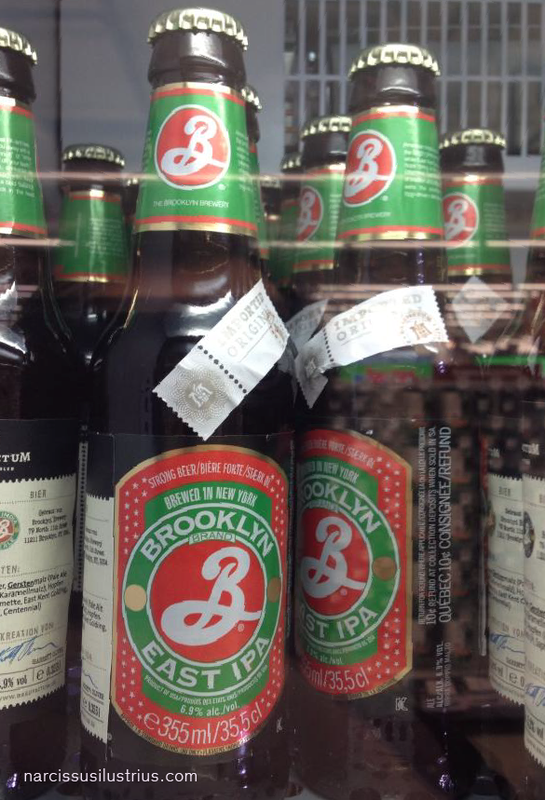 A few days ago I was doing my groceries at a supermarket from the neighbourhood and at the beer aisle, I came across a magical sight: Brooklyn’s Brewery’s beer was standing right there in the fridge. The swirly, luscious, bold “B” emblem was screaming at me: plump, delicious and in one of the most appetizing color combinations – red, white and green. I was so happy, because I didn’t had to travel to New York to buy such a product. I had to have it. Living in Germany – a “Many-local-Beers-Nation-and-Country, I couldn’t believe the fact that such a brand, carrying the legacy of one of the most famous graphic designers of all time, can make it’s way into the supermarket. I’ve picked a bottle and began to admire it like a museum art piece. Gorgeous beer packaging: the emblematic logo, the classic vintage-flavored typographic, the fine small, graphic details, the simple yet mesmerizing concentric composition built on an appealing chromatic scheme. That’s quality top notch work and it seems so…natural. Of course, it comes from the mind and vision of Milton Glaser.